Find out about the different types of care available, how it works and tips for arranging care so you can put the right care in place for your needs. Elderly care is something that, for most of us, we may need to consider as part of growing older. Although we might strive to be the healthiest, the most mobile and social version of ourselves as we age, there are many reasons why care can become part of our lives. A stroke, a fall, an unexpected illness – things can just happen that mean we need a little help to lead our best lives. Luckily, there are options if you need care, or you want to help a loved one receive the care and help that they need. 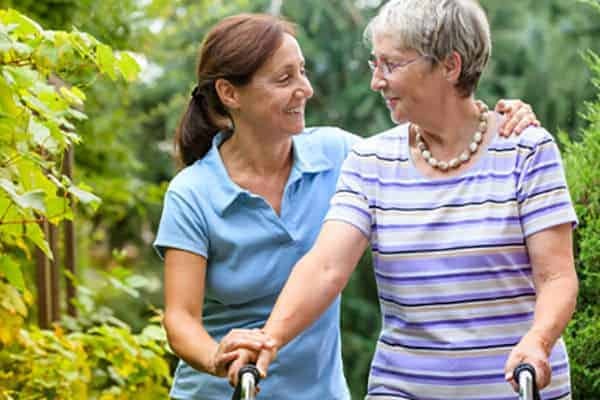 Live-in care, home care, domiciliary care, residential care homes, sheltered accommodation and respite care are all types of care that could work well for your needs. The most important thing is to find the right care for your needs. The kind of care that will enable you to have the later life you want and deserve. To help you understand the kinds of care available, here is some useful information to help you get a really good start on your research into this important decision. It is no secret that the population of the UK is ageing rapidly as our healthcare improves. In some areas, as many as 1 in 3 people are aged over 65 and those numbers will continue to grow as the population continues to age. 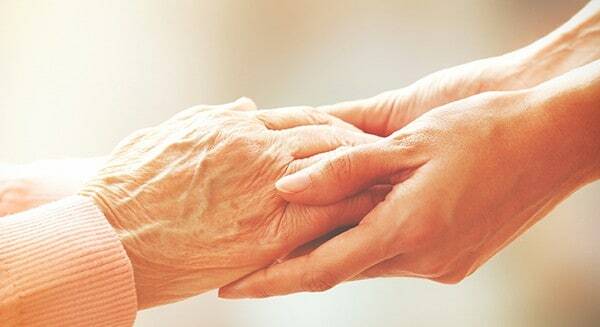 With an increase in older people naturally comes an increased need for elderly care. It is important to realise that the average age of the population is different in different parts of the UK, and so some areas are affected more by the need for elderly care than others. In London, most shops and restaurants are accessible to those with mobility issues and there is plenty of transport and support for those with care needs. Despite this, the amount of older people living in London is actually quite low. The South West of the country, on the other hand, tends to have a high number of over 65’s at present and that amount is growing. This is partly because of retirement communities, but also a lack of younger people moving to this area and local young people moving away for better job prospects. Populations in the South West then are ageing more than growing. The most important aspect of care in areas like this are the local services because those who are very old struggle to get to larger amenities that require a care or public transport to reach. In these areas live-in care can be a true life-saver for residents who are remote but who wish to remain in their own homes in later life. In Wales, there are also larger numbers of elderly residents compared to other regions particularly in less built-up areas, and similar pressure on local services remains because of residents who live remotely. The most urban areas of Wales however show a different picture with the least number of elderly residents in these areas. In the East Midlands and West Midlands the mixture of age groups is much more diverse and one city to the next will differ hugely in how many elderly residents live there. East Anglia has one of the highest populations of elderly people, as does Yorkshire and some areas of the Northwest, such as Blackpool. In the Northeast roughly 1 in 5 people are elderly but the statistics also show that the number is set to rise to 1 in 4 in as little as 20 years. In Scotland the highest number of elderly people are within the most heavily populated areas. The most remote parts of Scotland can be many miles away from any medical help, and so many people relocate to areas where help and services can be accessed with ease. The statistics tell us that the population is ageing very quickly, and care is definitely a problem in that it is lacking in most places. Specifically, those in the most rural areas really do need more readily available care. As it stands, many struggle even getting to local services and as the number of elderly people across the UK grows, the pressure on the few services there are will continue to rise. Live-in care is an excellent option for these remote areas, and for any area where the pressure on care services is causing the elderly to miss out on the quality of life they deserve. 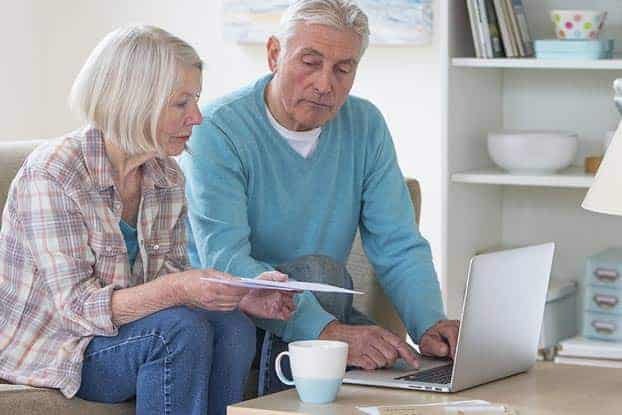 Understanding the pressure on the care services currently available is really important when looking into your own care, because you get an idea of how difficult it might be to find a place within a preferred care home in the future, for instance. Unfortunately, as the population ages, more pressure is being placed on the existing residential care home system. Many people are not currently getting the kind of care that they need and, therefore, aren’t having the quality of life that they expect, because care home places are not available in their area. Nobody wants to think of anybody struggling to get basic needs met like going up and down the stairs, getting washed and dressed, and having a meal prepared. Unfortunately the figures show that many people are struggling alone or only with the help of family. Fortunately residential care is not the only option, as many of our European neighbours have long realised. In many other countries elderly care usually means professional care in your own home not a care home. Here in the UK the default position is to look for a care home, but that isn’t a viable option in some regions. 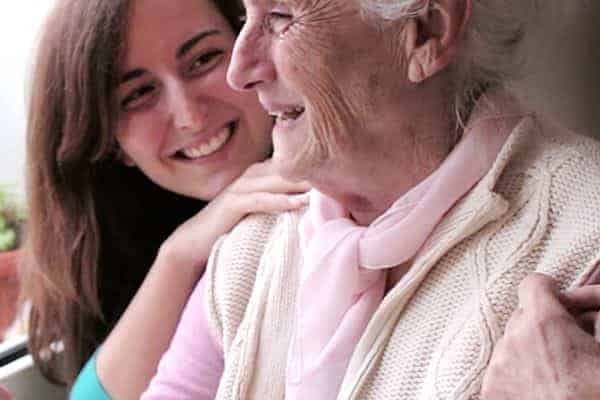 When looking into elderly care, you hope you or your loved one can receive care which meets basic needs but also enables you to live comfortably and happily. At the moment, many people are cared for in their own home by family members but it’s less common for a trained carer to be fulfilling this role in the home. More people are cared for in nursing homes, residential homes, or they live in sheltered accommodation. With the increase in the elderly population, as mentioned above, the care system has to adapt. More residential care homes, more support, more sheltered accommodation and better preventative care are all great solutions to help the future of care look brighter for all of us. However, it is live-in care that is truly the future of care. There is the possibility of better technology in the future to help with care but nothing is developed enough to truly enhance the lives of the elderly right now, or within the next decade at least. Live-in care, on the other hand, is available right now, it is affordable for many people needing care compared to residential care, and it is something that does not require a ‘space’ to become free for the person to receive the care they need. Even better it means that the person is able to remain in their own home. 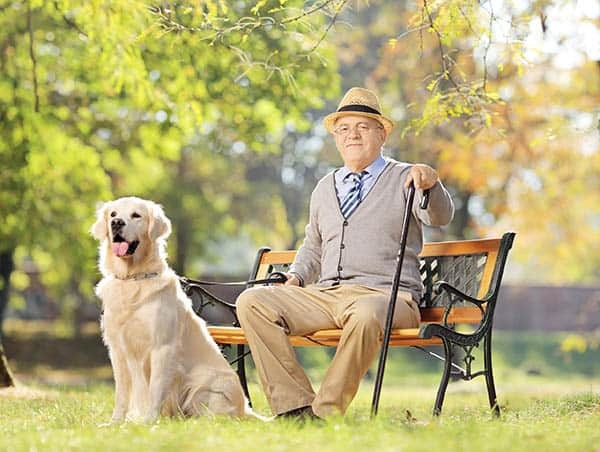 The type of care you choose will impact the type of later life you live – how do you envisage your golden years? Choosing the right care in advance means it is all in place should you have a medical change in circumstances, like a stroke. There are many reasons that finding the right care is important, but it really just comes down to the kind of later life that you want to lead. With the right care you can have the golden years you have always envisioned, there is no need to compromise, you are in control. When you are looking for later life care it can be difficult – whether it is for yourself or a loved one. You have to get the timing right, it can be an emotional time, you have to choose the right place or live-in carer. Luckily there are lots of companies and residences providing care so there is choice available. It is very daunting though, so we have compiled a few useful questions for you to ask when you are considering later life care. The questions can be applied to live-in care agencies, sheltered accommodation and residential care homes and nursing homes. The reputation of the facility or the live-in care company providing the care really does say a lot. Of course people are more likely to say something negative rather than something positive but, if there is a large amount of criticism for the same sorts of things, then it pays to pay attention. Where Is The Care Home/ Care Company? The location of the care home is so important, because it affects how often friends and family can come to visit. It also enables you or your loved one not to feel a million miles away from the place they love. Days out can be within the local community, which is so important in terms of holding on to identity. With a live-in care agency, it is also very useful if the company is nearby. With something as important as care, it really makes a difference to speak to somebody face to face. When arranging care and if there are any issues it is good to be able to speak to somebody in person. A high number of elderly people are malnourished or at risk of being malnourished which can lead to all kinds of medical problems. Does the residential care home ensure the nutritional health of their residents? Will the live-in carer be able to provide the right meals and snacks to ensure your loved one stays healthy? Are personal preferences taken into account? What if the person in receipt of care is vegetarian or halal? How Do You Ensure Quality Of Life? What efforts go into enhancing the quality of life of the person receiving care? 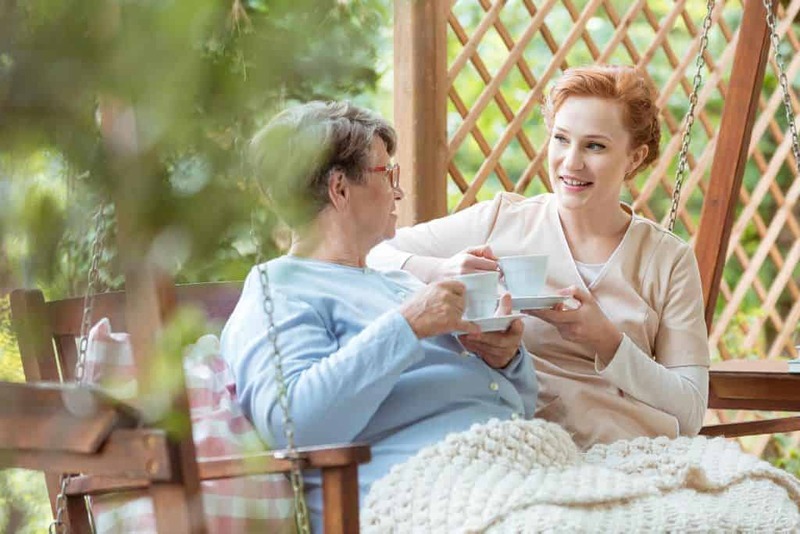 Socialising, organised activities, community groups, phone calls or Skype calls with loved ones and friends, the opportunity for expression, conversation – how does the carer or residential home ensure quality of life for their clients? How Do You Ensure That Your Clients Stay Healthy? Do you include exercise programmes, physiotherapy and other events or activities to ensure that your clients remain healthy? Do you offer medication support? Help with personal care? What Is The Daily Life Of A Client Like? Are there set mealtimes and bedtimes for instance? How do you enhance the life of your clients? Are there set visiting times? How Do You Choose Staff? Do you train your staff? Are they CRB checked? What qualifications do they have? Are they given training regularly so they are always up to date with care skills? Do you offer specialist care, such as dementia care, with staff who are trained and experienced? And don’t forget about your own first impressions – they do count and you will have an instinctive feeling about the live-in care agency or care home you are looking into. What do you feel about them? Do you like the people you are speaking to? Could you see yourself or your loved one feeling happy in the care of that company? 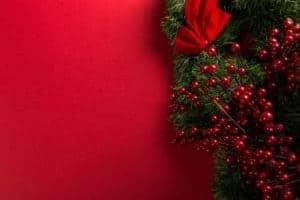 Do residents/clients seem genuinely happy? There are lots of reasons to start a conversation about care with those that you love. Maybe you need to speak to a parent about the care they need, or you yourself need care and you want to discuss it with your children. It is a sensitive topic and it can turn into a very awkward exchange if it isn’t handled as such. Try to understand what you hope to get out of the conversation, is it clarity? A care plan? An understanding of how everybody feels? Obviously, the conversation is going to be tricky, emotional and challenging, but it can be very rewarding as long as everybody stays respectful of one another. The ultimate goal is the person going into care leading a healthy, happy life and that can be achieved with the help of the whole family. Here is an overview of the main elderly care types available. Live-in care, nursing home care, residential care homes and sheltered accommodation. Live-in care is where a professional carer lives in your home 24/7 and provides care to you or your loved one. The idea of live-in care is to enable a person to remain in the place they love the most, whilst remaining safe and as independent as possible. A live-in carer will cook, provide company, help clients to get exercise, socialise, take their medicine on time, get to appointments, remain mobile, stay clean and dressed and comfortable, and they will likely provide light cleaning support as well. Live-in care works around the needs of the client and additional services can be provided at additional cost. Dementia care, help with pet care and gardening, accompaniment on holiday and other additional services can be offered. A residential care home has staff on hand 24 hours a day and assistants who help residents with personal care. Meals are also provided as well as a maintained bedroom and bathroom, social areas and often, daily activities. A client will live in a care home full time and the schedule they are part of is usually the same for all residents. A nursing home is like a care home but registered nurses are on site to provide nursing support through the day and night. Residents usually have a medical condition that means they require frequent medical support. 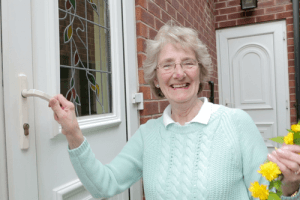 Sheltered accommodation is designed for the elderly when they want to remain independent but they might require access to support from time to time. It is likely to come in the form of a flat or bungalow within a communal facility. The accommodation will have buzzers or instant access phones to summon help if it is needed. There may also be a meals service, visits from staff, communal activities and help with things like cleaning in some cases. The importance of finding care is often underestimated, until a life-changing event causes us to quickly have to make a decision. The more aware you are of the care options that are available, the better able you will be to navigate this challenging part of life. Do your research, have conversations about care and think really carefully about what you want. You deserve the kind of later life you imagine, and you can get that with the right type of care for your needs. If you are in any doubt about making such an important decision remember that you can always start with domiciliary care or live-in care on a temporary basis to give you the breathing space to think through your decision with no pressure.